Lemonade is a lemon-flavored drink sweetened with sugar among other sweeteners. In North America, certain European and African countries, and most Asian countries lemonade is usually made from water, lemons or lemon juice, and sugar. Lemons are a favorite all over the world and an essential food in kitchens everywhere. Lemonade was invented on August 20, 1630, in Paris. Here on this page we will see various health benefits of drinking lemon water. Did you know that one in ten people will have a kidney stone over the course of a lifetime. 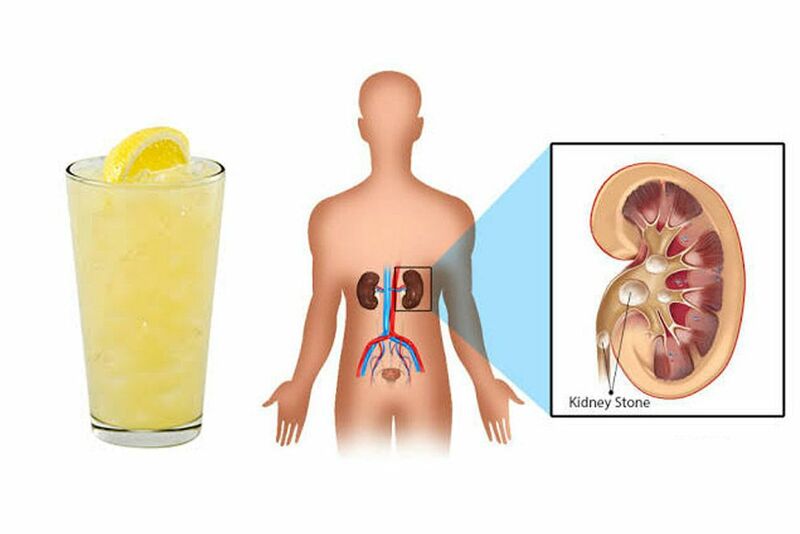 According to some new researches, Lemonade is an effective and delicious drink for kidney stone-prone people and slows the development of new stones. Lemons have the highest concentration of citrate a natural inhibitor of kidney stone formation of any citrus fruit. Lemon juice, which is low in oxalate, can stunt the growth of pre-existing stones and prevent crystal deposits in the kidneys from developing into stones. For people prone to stones, doctors usually prescribe potassium citrate. It can be taken as a pill or in liquid form. But lemon juice is full of natural citrate. Lemon juice increases the amount of citrate in the urine to levels known to inhibit kidney stones. It doesn’t work quite as well as potassium citrate. But for patients who’d rather avoid yet another medication, lemonade is an attractive alternative. Why lemon water in the morning is healthy. It’s a great way to start your day drinking a glass of warm water with the fresh-pressed juice of half a lemon. 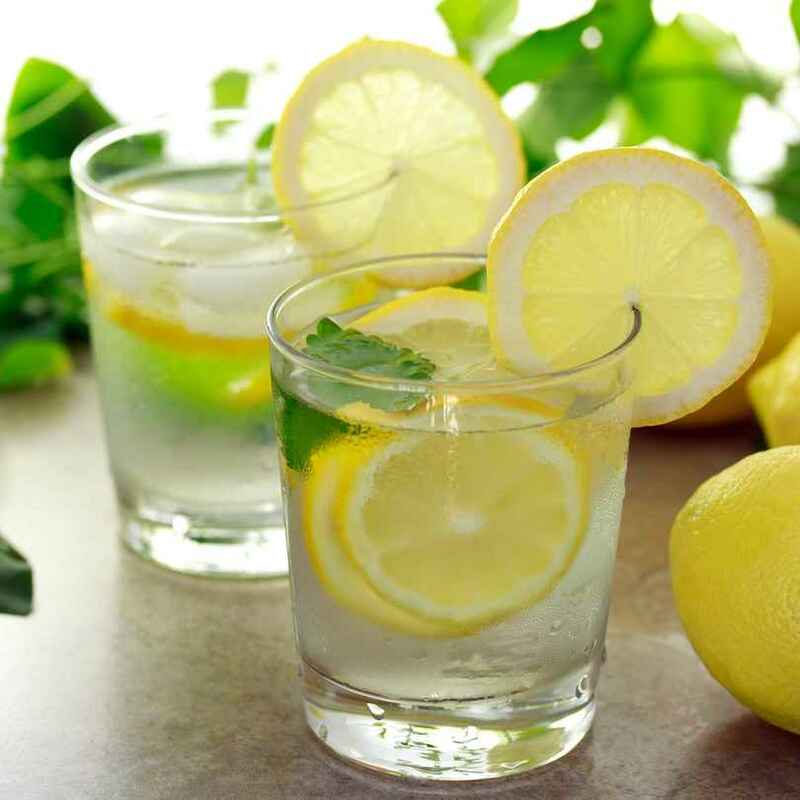 Lemon water is a natural diuretic, it’s thought to flush excess fluids and toxins out of your body. Starting your day with warm lemon water is thought to have a ton of health benefits. The warm water helps stimulate the digestive tract, and the lemons are believed to purify the liver. The vitamin C in lemons also helps give your immune system a boost. The tradition is also believed to help remedy a chronic pH imbalance. And because lemon water is a natural diuretic, it’s thought to flush excess fluids and toxins out of your body. Drinking Lemon water in the morning time have a lot of benefits. The health benefits of lemon water are due to its many nourishing elements like vitamin C, vitamin B6, vitamin A, vitamin E, folate, niacin thiamin, riboflavin, pantothenic acid, copper, calcium, iron, magnesium, potassium, zinc, phosphorus and protein. Lemon water is tasty, refreshing & best of all alkalizing. Drinking lemon water is a healthy way to replenish & rejuvenate our body. Many people also use lemon as a washing agent, because of its ability to remove stains. The scent of lemon can also repel mosquitoes. While drinking lemon juice with olive oil helps to get rid of gall-stones. It helps to relieve symptoms of indigestion such as heartburn, burping and bloating. Helps you lose weight and is good for heart health, as well as brain and nerve function. The lemon pel contains the potent phytonutrient tangeritin, which has been proven to be effective for brain disorders like Parkinson’s disease. Lemons contain 22 anti-cancer compounds, including naturally occurring limonene; oil which slows or halts the growth of cancer tumors in animals and flavonol glycosides which stop cell division in cancer cells. It helps to relieve symptoms of indigestion like heartburn, burping and bloating. Nimboo paani helps to reduce arthritic pain or gout by diluting uric acid in the body. It helps oxygenate the body and maximizes enzyme function. It is a rich source of the immune boosting vitamin C and helps the body in healing. Nimboo paani helps to soothe a sore throat, due to its antibacterial properties. Nimboo paani helps to relieve toothaches and gingivitis. It helps to dissolve gall-bladder stones and other calcium build ups in he body. Health benefits of drinking lemon water is that it paves way for losing weight faster, thus acting as a great weight loss remedy. It can treat a person who is suffering from cold, flu or fever. It helps to break fever by increasing perspiration. Nimbu paani is high in potassium, which controls high blood pressure, dizziness, nausea and reduces stress. It also cures respiratory disorders like breathing problems and asthma. Drinking lemon water daily reduces the body’s overall acidity. It liquefies the bile, and is very good in cases of malaria. Nimbu Paani or Lemonade is all time favorite summer coolant. Lemon water or Nimbu pani is one really good option to revitalize your weary senses. It is good for the joints, reducing pain in the joints and muscles. It cleanses the blood, blood vessels, and arteries. Water pregnant women. Since lemons are loaded with Vitamin C, it acts as an adaptogen helping the body cope with viruses such as colds. Furthermore, vitamin-C helps the formation of bone tissue of the unborn baby. At the same time, due to the high content of potassium, a mixture of water with lemon helps forming cells of the brain and nervous system of the baby. It helps dissolve gallstones, kidney stones, pancreatic stones, and calcium deposits. It helps with tooth pain and gingivitis.